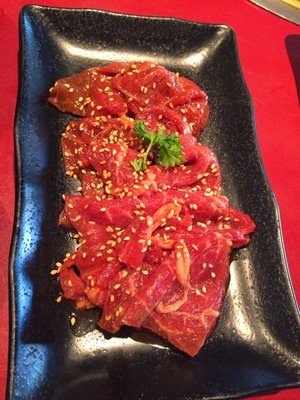 the local list: Gyu-Kaku: the gift that keeps on giving. I first attended this glorious restaurant in LA. It was new and all the rage when I was in high school. Unfortunately, that was quite a long time ago. Anyway, this place is still a fun spot - especially during happy hour. So when I was trying to think of a place to grab dinner at 8:00 on a Friday, I thought why the heck don't I try this place out again? 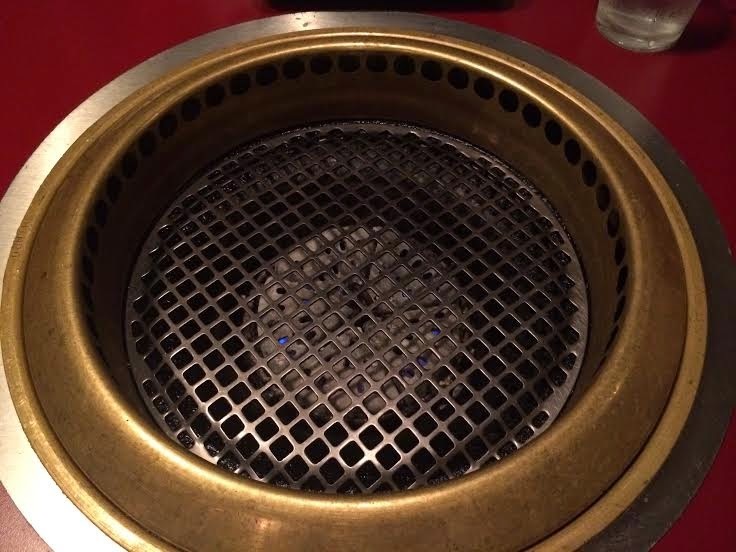 Gyu-Kaku is Japanese BBQ on a charcoal grill. This means that you are seated at a table that has a grill in the middle of it and order different meats and raw veggies. For some this may be very off-putting because you are basically cooking your own meal, but for others it is quite fun. (I love it because I don't have to prep the meal or clean the dishes - win, win, win!) And it's tasty too. The key to this place is coming around 8 PM, getting a table, slowly ordering and counting down the minutes to 8:30 when it hits HAPPY HOUR time. They have beer specials, meat specials, specials on veggies (I highly recommend the sweet potatoes), and to finish it all up they have s'mores. 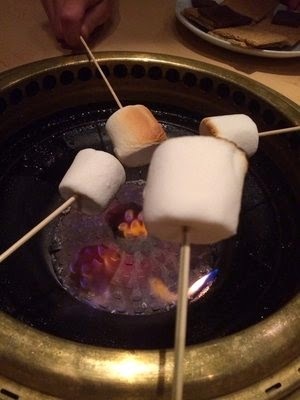 I mean what other restaurant serves you s'mores that you can COOK on your own. Ah maze Ing. Whether you come with family, a date or a big group of friends, this place is going to provide you with a fun adventure. I recommend the butter fish (which you steam in foil on the grill), the sweet potatoes, the hanger steak and the pork belly (tastes like bacon). The special sauces are so good you will run out. Make sure you drink a lot of water before or after because your sodium level will spike. And if you still have room, check out the macaron ice cream sandwiches they sell in the front of the restaurant. Some advice, its a lot of food so order in rounds until you are full. 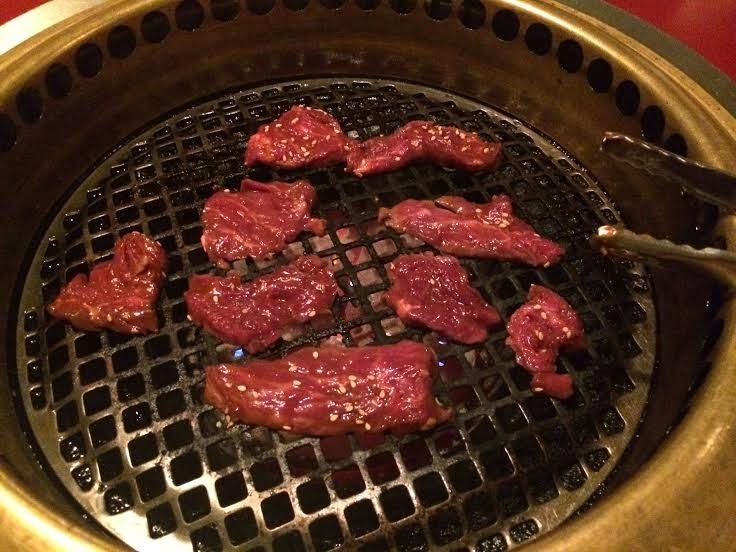 Remember Gyu-Kaku for your next adventure (just don't bring your nice clothes because you will smell like a barbecue when you leave). Guaranteed good food and great ambiance! Labels: Booze with my Boos, Huntington Beach, Lunch Time, Time for Happy Hour, Tustin, What's for Dinner?